After a long Summer break I am back & ready to bring you even more MMO recipes! I started to play WoW again, I love this game and I just can't stay away for long. I play on a private server (The BEST private sever) ExcaliberWoW. 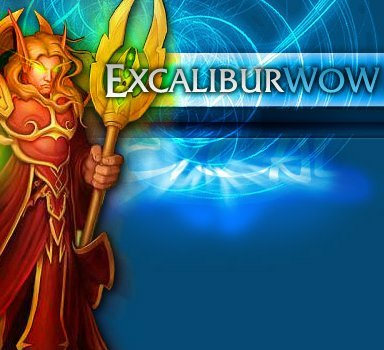 ( http://excalibur-wow.com ) It is a Burning Crusade server meaning it does not go past patch 2.4.3 and I couldn't be happier. The community is small, it's tough to find groups on some days but the players there have a real love for the game. It's not about end game, getting the best gear or that "The Next Expansion is Coming" push that makes people crazy. It's about playing and having fun. I very much missed that attitude. My name is Edenvale , stop by & say Hiya! Inspired by my new (retro) way of playing WoW in Burning Crusade I bring you this throw back recipe Curiously Tasty Omelet. This is a bit of an unorthodox omelette but delicious! Wait until they are cool to touch and slit the tops open gently. Take the ends an squeeze together so the potato opens wider. 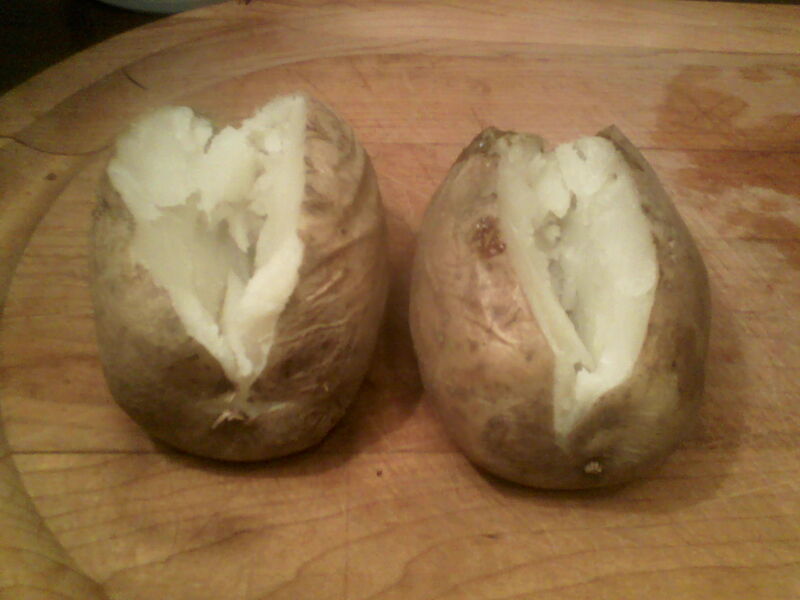 Take a fork and smash the inside of the potato to give in a bowl shape. 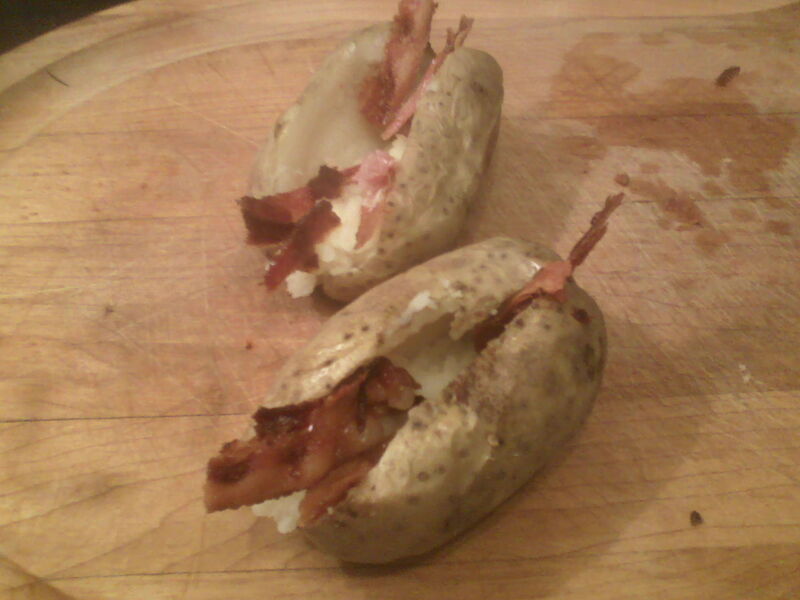 I added bacon to some. It is optional. 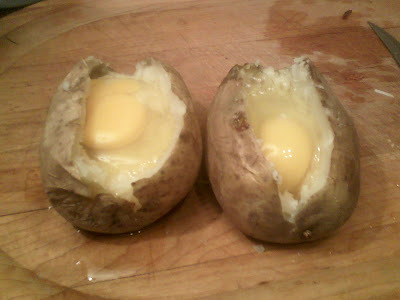 Drop the egg into the potato bowl. I used small eggs. 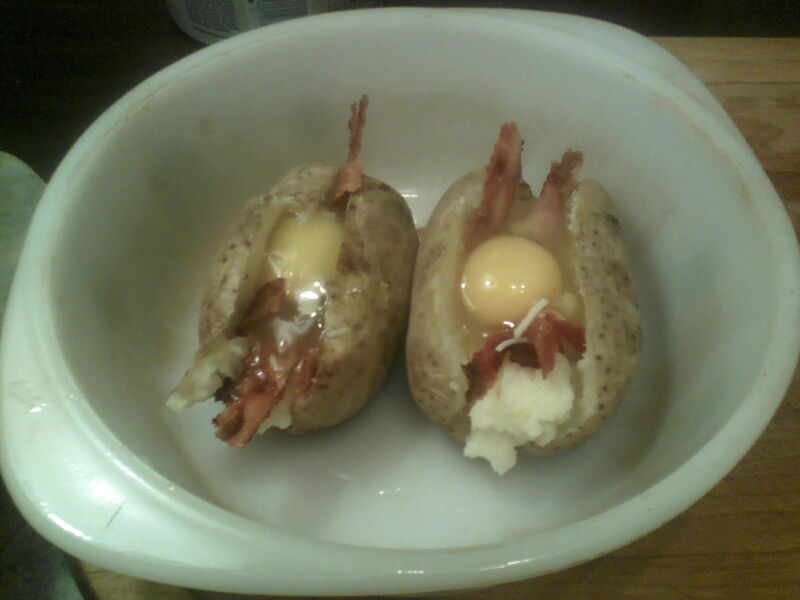 Using a smaller potato with a larger egg might not work out so well. If you are using large eggs. I'd suggest scrambling them & placing half the egg in one potato and the other half in a second. 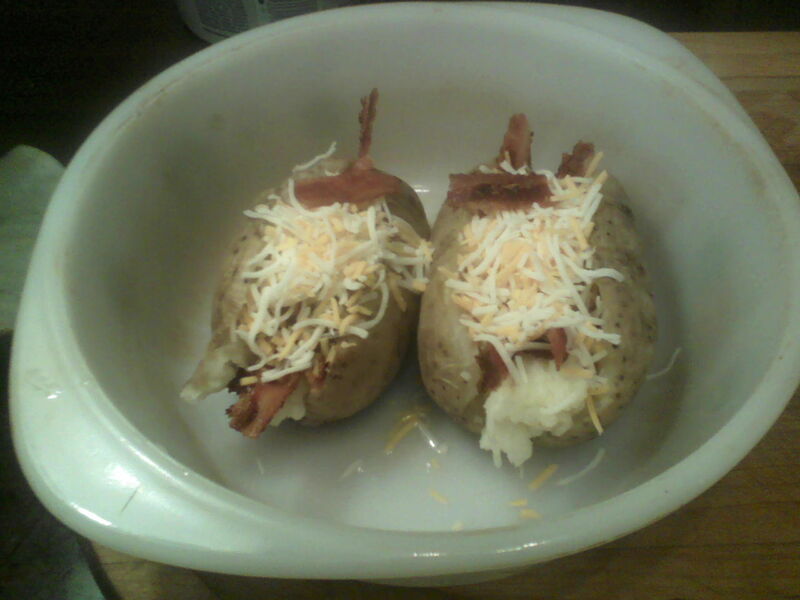 I also added salt and pepper, garlic and Parmesan cheese. It was definitely the most curious tasting omelette I have ever had. 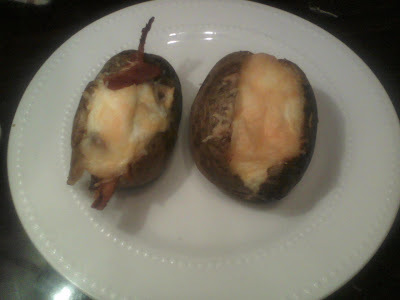 note: I froze some & they heated up great for a quick hearty on the go breakfast! They were quite delicious. The husband & I sat there wondering why we never thought of this before. Yum!